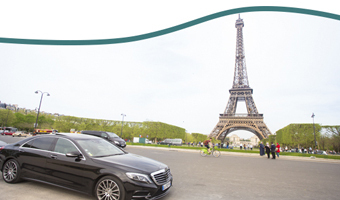 For all those people who love travelling by car, who want to travel at their own pace and want to be able to stop when and where they want: renting a car in Paris is the ideal solution. It is also a real alternative to the airport transfers that are available and will make your arrival at the airport more convenient and more comfortable because you won't be dealing with the weight of your suitcases as you travel to and from the airport. If, however, you really want to travel without any worries, the winning solution is undoubtedly to book a Private Taxi or a Shared Airport Shuttle Service. By doing this, you won't have to worry about driving either as your driver will know the best routes to take and he will be waiting right at the airport to take you to your destination. 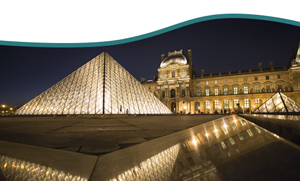 Choosing to hire a car whilst staying in the French capital will enable you to decide with complete freedom if you want to visit some of the attractions that are a little further from the city centre such as the Palace of Versailles, Disneyland Paris and Parc Astérix and much more. In any event, without any doubt, the best choice when it comes to complete freedom of movement and the chance to organise an itinerary to suit yourself time-wise is to be independent and hiring a car is at the top of the list along with bicycle hire and private or public taxis. 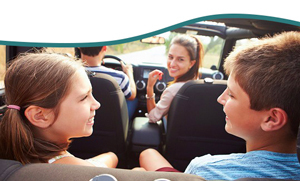 Deciding to rent a car also becomes more cost efficient when travelling with your family or a group of friends as the cost per head will probably work out cheaper and you are not having to deal with the stress of travelling on public transport. How much does it cost to hire a car in Paris? Renting a four seater car in Paris has an average cost of €90.00 over three days. The rental starts from the moment that you collect the car or from the pick-up time agreed at the time of booking (this varies from one company to another). You can choose between different types of car: small, large, and SUV or even a minivan. There is a really wide choice of vehicles available and you can select the car that best corresponds to your needs, the number of passengers and how much luggage you will have, (don't ever under-estimate the importance of the quantity and size of your suitcases). Our recommendation is to book on-line with a collection at the airport: you will save on the price and you will have more options to choose from. 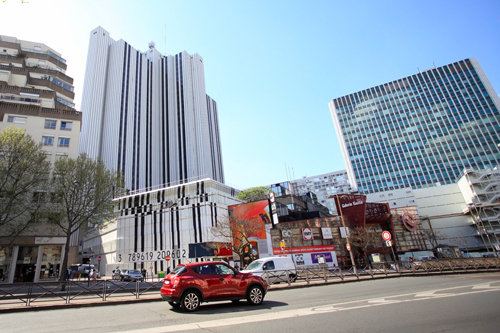 On this web page you will be able to quickly and easily check-out the best offers for car rentals in the French capital and make a booking on-line. In order to book a rental car you will be asked for your first name and your family name, your 'phone number, email address, flight number and for payment with a credit card. If you wish to add a second driver you can also do this on-line and the additional cost (around €11.00 per day) will be payable in cash on delivery of the car. We would remind you that you should check the Terms Conditions of the company from whom you have chosen to rent the car because certain requirements can vary from one company to another. The hire costs including the option to change the details of the booking free of charge, cover in case of theft, local taxes, airport taxes and CDW insurance, which means, in the event of damage to the vehicle body, the maximum sum payable will be that of the value of the policy. If you want to travel without any worries, in your shopping cart, you can also add total coverage to your booking which means the car's total policy, windows, mirrors, tyres, wheels, administrative costs and any charges incurred in the event of a vehicle breakdown. This total coverage starts from €50.00 and will provide peace of mind that your deposit won't be lost enabling you to travel without a care in the world. Who can hire a car? Hiring a car is really easy, particularly when it comes to the Rentalcar system which you can also find on this web page. 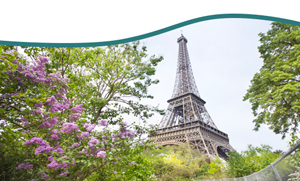 In just a few minutes you will be able to see the best offers from a range of different companies in Paris and from across Europe. In addition to this, you will pay zero commission on your credit card if you select the option at the airport which means saving even further on the costs. The restrictions are relatively few but it will be necessary to have had a driving licence for at least 12 months (and in some cases, 24 months) and to have sufficient funds available on your credit card in order to cover the deposit which is required as surety.